DJI GO is a resource hungry application, so it’s best to ensure your Android tablet or phone is setup properly and optimized for speed. While it helps to use one of the commonly used Android tablets or phones (see this list), the Android mobile device you own might work just fine if configured properly. 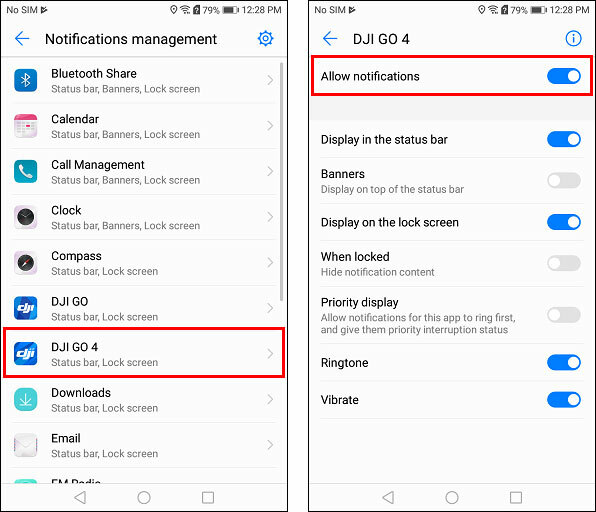 Follow the tips below to configure your Android device and install DJI GO. 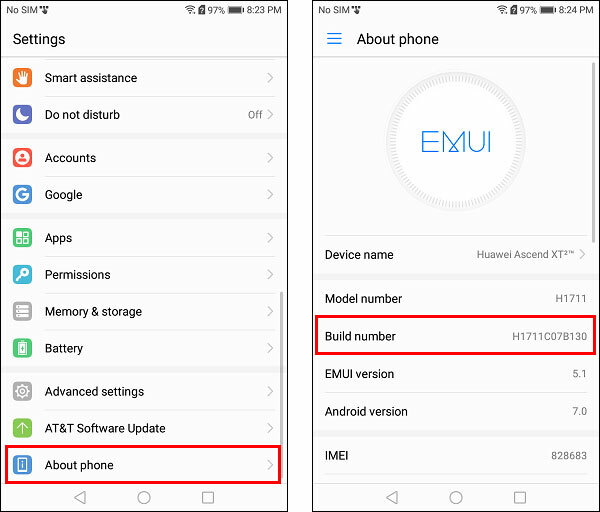 Note: The screenshots found below were taken on an Huawei Ascend XT2. Depending on the version of Android OS that’s installed on your mobile device or the skin the manufacturer installed, your screens might look a little bit different. If your mobile device has a SIM card installed and you’re not planning on activating the cellular service, you can remove the SIM card to prevent the mobile device from attempting to access it. Make sure your mobile device is powered off before attempting to remove the SIM card (so you don’t damage it). Note: If you’re not sure how to remove the SIM card, see your mobile device’s instruction manual or look for instructions in these Google search results. 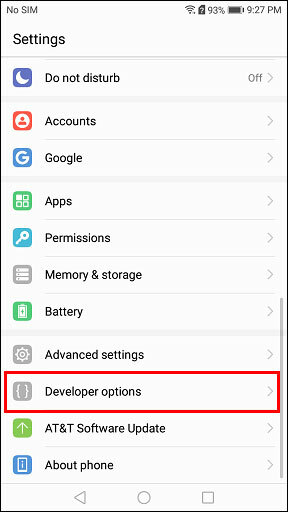 You can access hidden settings on your mobile device by enabling developer mode. These hidden settings can be used to fine tune the way your mobile device works. Once enabled, you’ll see a new Developer options item in the Settings. 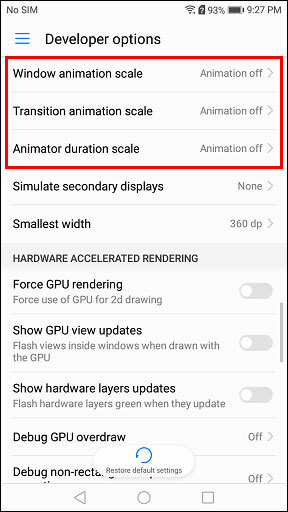 By disabling the display animations, you’ll be able to decrease the time it takes to navigate through the apps, windows, and menus on your mobile device. By default, you’ll only be able to install apps from the Google Play Store. 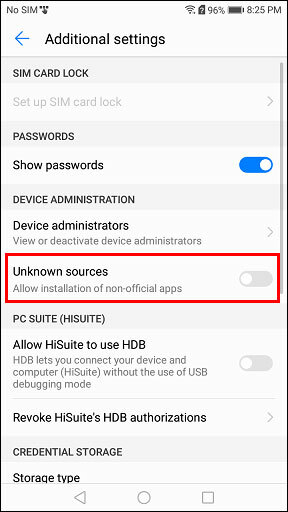 By enabling the unknown sources setting, you’ll also be able to install apps by downloading and opening an APK file. This is handy when you need to install an old version of an app (or install apps that aren’t available in the Google Play Store). Note: You can download old APK files for DJI GO, DJI GO 4, and other apps from websites like APKPure and APKMirror. Old versions of DJI GO (version 3) can be downloaded here. Old versions of DJI GO 4 can be downloaded here. 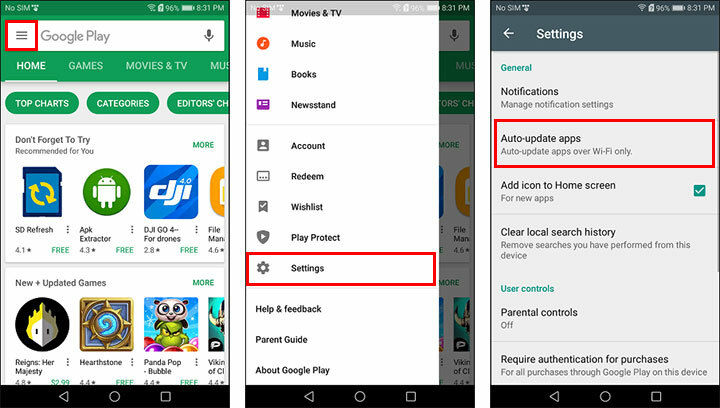 By default, the Google Play Store is setup to automatically install updates for your installed apps. You can free up resources on your mobile device by disabling this background activity. Also, it’ll allow you to manually choose when and which apps you’d like to update (which is handy in cases where you want to run an older version of an app). Out of the box, your mobile device will likely be packed with apps that you aren’t ever going to use. 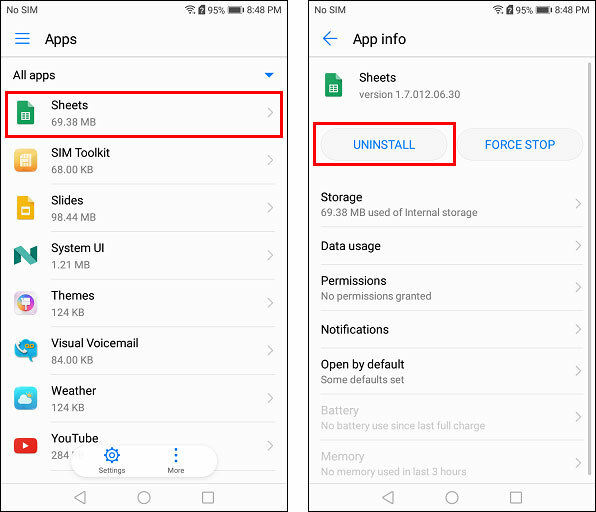 You can uninstall or disable those apps to free up storage space and resources on your mobile device. Note: Some of the apps are system apps and cannot be uninstalled (unless you root your mobile device). If an app cannot be uninstalled, you’ll see a Disable button instead of an Uninstall button. By default, apps you install will be setup to display notifications when certain events occurs (like when a new app update is available). You can disable some or all of those notifications for each app individually. Note: The names of these menu items might be a little bit different depending on which mobile device you’re using. 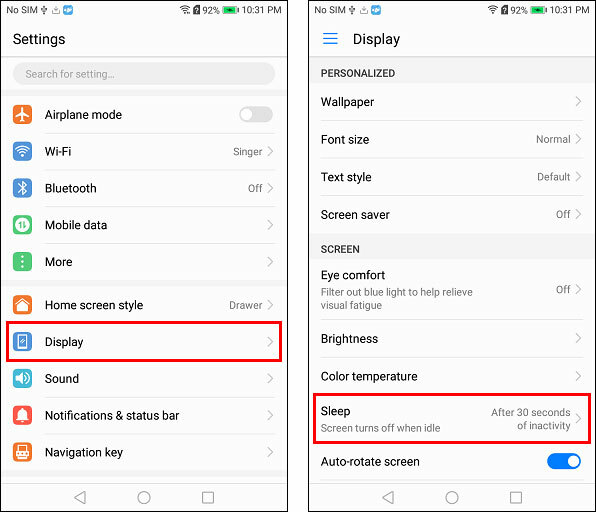 By default, the screen of your mobile device will shut off pretty quickly in order to conserve battery power when your mobile device is idle. If that becomes counterproductive, you can increase the idle time so you don’t have to keep pressing the power button to turn the screen back on after the idle time has been reached.